WARNING: This page may contain spoilers for a recently released film. In this film, Paul Rudd reprises his role of thief Scott Lang, who is also known as the superhero Ant-Man, from the 2015 Marvel film Ant-Man. 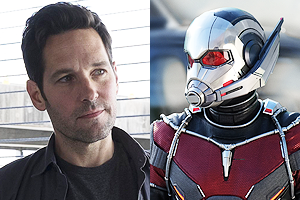 Thanks to his fight with Sam Wilson (Falcon) in Ant-Man, which helped familiarize the team with Ant-Man and his abilities, Lang is recruited by Steve Rogers (Captain America) to join him in a battle against Tony Stark (Iron Man) after the Avengers split. Lang joins and fights alongside Captain America, Falcon, The Winter Soldier, Hawkeye, and Scarlet Witch. To everyone on both teams’ surprise, Lang reveals himself as Giant-Man, as he displays a new power where he sizes up, rather than down. As Giant-Man, both Lang’s size and strength increase, but his movements are slowed down. The Giant-Man powers are still experimental at this stage, as Lang says that he only tested it once before in a laboratory and he had fainted afterward. In this film, the Ant-Man suit is more updated than in the last, in both looks and technology. The suit and helmet are both newer and sleeker, and they no longer have the vintage look from when Lang stole the suit from his predecessor, Hank Pym, who had used it decades prior. The suit also now has added tech on the wrists, which help Lang control whether he wants to size up or down. Scott Lang: I’m shaking your hand too long. Wow, this is awesome! Captain America! Scott Lang: [to Wanda] I know you too, you’re great! Scott Lang: [to Steve] Geez… Look, I wanna say, I know you know a lot of super-people, so… Thinks for thanking of me. Sam Wilson: What’s up, Tic-Tac? Sam Wilson: Was a great audition, but it’ll… It’ll never happen again. Steve Rogers: Did he tell you what we’re up against? Scott Lang: Something about some psycho-assassins? Steve Rogers: We’re outside the law on this one. So if you come with us, you’re a wanted man. Scott Lang: Yeah, well. What else is new? 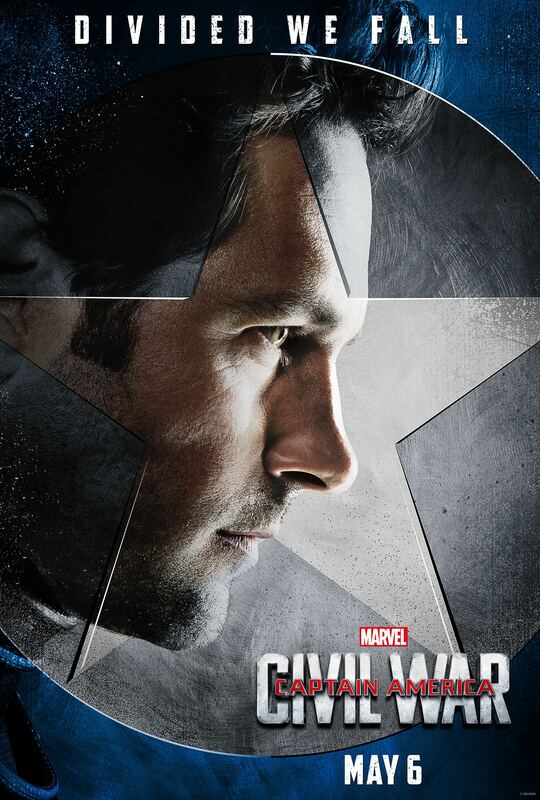 Scott Lang: I really don’t wanna hurt you. Natasha Romanoff: I wouldn’t stress about it. Scott Lang: [damaging Iron Man suit] Oh, you’re going to have to take this to the shop! Scott Lang: It’s your conscience. We don’t talk a lot these days. Bucky Barnes: He’s gonna tear himself in half? Scott Lang: Hank Pym did say you can never trust a Stark! Even though Rudd had his own character poster, he was the only one not included on the first group poster that had all of the other characters who also had their own individual posters. Marvel tried to conceal the inclusion of Rudd’s debut as Giant-Man in the film from the public before the release, by not including clips in trailers and TV spots, but the release of the Giant-Man Funko Pop, and the inclusion of Giant-Man in the Civil War Lego set, revealed the surprise.